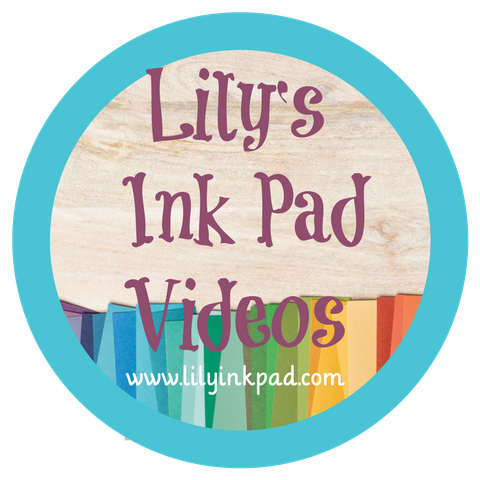 Lily's Ink Pad: A Cherry on Top! What's more springy than red cherries? Well, actually, summery. Late July and Early August are when they ripen around here! However, I still think this card is mighty springy! 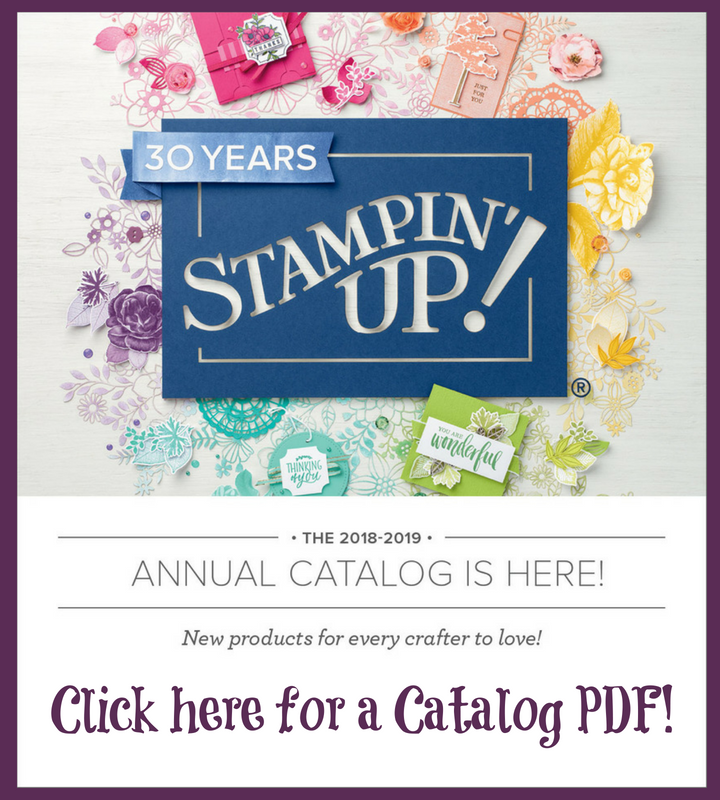 I love the sweetness of this card--and I proudly designed the whole thing without casing! I wanted the cherries to sparkle. My sister loves cherry cheesecake and we (my mom) makes her a cherry cheesecake for her birthday in February every year. 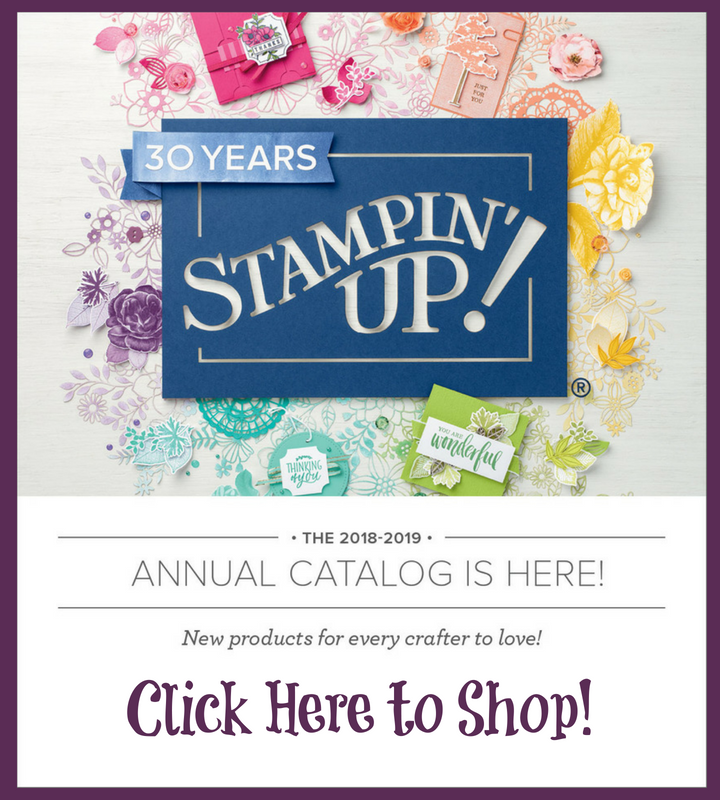 When I got this set, I knew I had to make this for her birthday Stampin' Up! Workshop. Easy and cute! So cute! 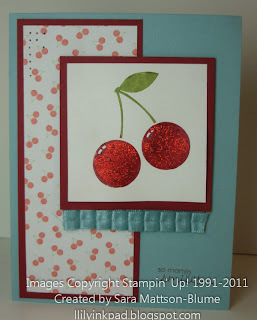 I love all the sparkle on those cherries! this is a clever idea! Strikingly simple and makes the recipient want to open the card. What a great way to use that cherry DSP. Love the Dazzling Details! Fabulous card!! 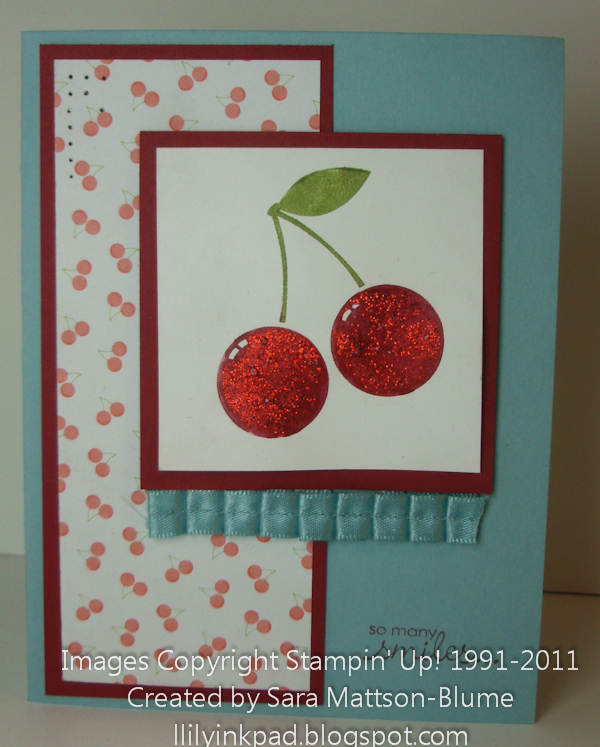 Love, love, LOVE the sparkle on the cherries! Super cute card! Yum! Looks good enough to eat! Those sparkly cherries are so fun!